Ok so how much of a shocker was it for you when the Royals beat the Mets on their home turf 3-0? The Mets have won 2 World Series (momentous) ones, 5 National pennants, and 6 Nation League East titles. What an incredible record, right? The Kansas City Royals have won 1 World Series, lost twice in 1980 and 2014 before placing for what is now their 4th in 2015. So what does this have to do with astrology? A lot. You see the bigger an event is in meaning to the world, the greater its impact to project and transmute history as a Butterfly Effect. We are called to acknowledge what is for certain and what isn’t. Emotional intelligence peaks and causes us to grow up. The stage is set. Who will the next crop of brilliance be in the world? There is a great deal of money in gambling, taking risks, and knowing the odds because its a unique gift to know how to make accurate predictions based on stats. Now if you are a #s buff and find all these fun facts passionately intriguing chances are well and good you are of the Gemini/Sagittarius temperament. Industries like dinosaurs are hatched from the temperament of the Divine. When Company A has this and Company B has that both are on equal footing as giants in their own niche. But combine or compromise the two and we have Company C – a world wonder in new business practices. We have a product, new market, and company feeding into and out of the same pool of magically good stuff we create as art, money, commerce, trade, benefits, promotions, and J-O-B-s. Jobs make the world go around and all jobs are paid out based on some for of keeping “time”. How much time and energy a person inputs directly relates to how much its worth as “product” of output. It’ s a Divine Marriage. What is that you say? It’s level of intelligence where mental meets emotional intelligence. Some would call this the beginnings of a Divine Marriage. A Divine Marriage is ordained or a “sure thing” and it is what we use in formulas, equations, and more to “predict” with science or metaphysics. Metaphysics is “how” things get done or achieved successfully. It’s our trade secrets that are worth a fortune! Metaphysics is always much more precise as a tool because of how it is structured to work and gear the mind to move, act, and take advantage of “moments”. There is a connection between the sign of Gemini and Twin Flames. Who knew?! Either we are working closer to the ideal or getting worked UP moving farther from it. Changing Thought Process steers us back in the right direction and that saves “time”, pain, and regret. 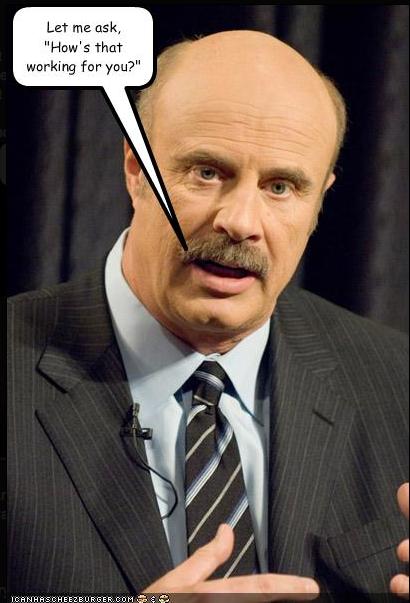 Now Dr. Phil is a Virgo born September 1. Virgo is strong in many planets & key asteroids right now. Soon it peaks greatest strength for 2015 – when North Node (Rahu) backs into Virgo at 29’58 degrees in November 12th. The whole world and all its systems are brought to order for expansion, distillation, and re-organization. We decide what we need and don’t based on Health, Service to the World, organic materials & resources, and karma. Karma plays the biggest role in adjusting fate and alternating destiny. Why? Karma is the money – currency – and flow of the spiritual which is governed under the 9th House of Sagittarius. Karma is reviewed, assessed, and enforced in Gemini the twin souls. Where Gemini and Sagittarius govern intelligence, Virgo/Pisces control and regulate emotional intelligence. Emotional Intelligence is created from Cancer rolling into Leo because it represents genius, brilliance, and the concept of being the best of both worlds. Gem/Sag represent “self truth” and Vir/Pis represent “gnosis” what we feel to be self truths as a whole. Once we see our light we must shine it for the world to see! As “wisdom” of The Divine. Source within is where we locate our strengths. Inner Divinity in the flesh. You too can be a Rock Star of your profession. The entire Egg metaphor (Butterfly Effect) is depicted in specific Crowley BOT tarot cards – Remember on October 12th we had the Sun conjunct Moon – Lib 19’20. The phoenix emerging from its shell. The new “self” being reborn – evolution, growth, and growing up emotionally about stuff. Deny yourself nothing that brings satisfaction and pleasure as long as it doesn’t interfere with that of others. Abundance is the blessing of Goddess energy because it promises room for everyone’s wishes to come true regardless of one’s status or social standing. One is about reaching supreme level of divinity in self and the other represents reaching divinity with the one we share our heart with. So you see love and time are most important to both of these two signs. They are high energy zodiacs who calm or ground when they meet The right One to spark the heart. Gem/Sag energy pushes buttons and makes us react, act, and take risks on feelings to reveal pure transmuting “truth” serum. This is the metaphor behind the constellation Ophiuchus and its truth in astrology ~ sidereal-ly. It is the moment when an artist decides to emerge as New Talent in the world by reaching Higher Self passion and being able to make a living out of it as a professional “artisan” of their craft. Clarity comes and we intuit our Divine Purpose and Divine Plan. It’s all intelligence and (Clair) intelligence gathering which occurs from the 21st to the 23rd of November when the Moon enters Aquarius. Those are days we can expect to receive huge affirmations, revelations, and news of world changing value like the World Series. News in world currencies will set the stage for the political realms to gather the people together to discuss what matters and what is of no value any longer. Trends. It’s important to pay attention to trends but even better to set them. Sagittarius governs PR and publicity and Capricorn caps a position as ruler of the 10th House and Saturn’s envoy. Sagittarius demands we expand and find our place, Capricorn shows us where that place is as a feeling of “belonging”. Many who are new artists get the opportunities to do just that especially around these dates – Nov. 2-5 (ideal to pitch), 7-11 Venus enters its “home turf” – Libra on the 8th! Best dates to launch new ideas are within 3 days before and after the New Moon in Scorpio on the 12th! Mind you where Libra brings “balance” of all areas, “Scorpio” balances all areas that emotionally govern us or tie us down. It shares the 888 Higher Consciousness energy with Leo and Virgo, thus the “O” at the end of each’s name. We bring things full circle when we finally understand our place in the cosmic scheme of things. Each is a stage of perfecting one’s path towards “enlightenment” which can be frightening, frustrating, and thrilling! Especially around these days. So please take note and take action for anything related to the arts. For business and finance the New Moon energy is best used to motivate others to join, collaborate or sponsor projects with joint finance deals. Also the last week of November when Venus, Mars, Pallas, Pluto, Chiron (R), and Uranus usher in a New World order of doing things! The old is already out and the “new” is taking place before our very eyes. It’s all about diversity and diversifying interests, passions, and aims to unite on missions that make the world feel better in metaphysical health. Appreciating our differences by expanding into new cultures makes us smarter, wiser, and more intellectually stirred up to do something big in the world! We spark and others share the love to spark alongside us. It means “the world” to know there are others just like us in it. We now cross paths because we are attracted by being on the same page about personal beliefs systems + karma! The people we work with now will be people we’ll work with all our life on various projects, goals, or missions. Thus the Twin Flame or Butterfly Effect takes aim as we learn what’s in our heart so we can share with others of “like energy and vibrations”. However if karma is holding you back. Don’t. Make amends. Write apology letters to remove stagnant things left unsaid. We feel lighter when we face our truths, self truths, and trust gnosis. Question is what does the Egg metaphor? It is what The Empress as a creative and intelligent energy is working through us as The Divine solution to balance our problems – (Virgo). It is the moment we acknowledge what we’ve invested so much time to create as some marvel, wonder, or jewel of wisdom in the world. Light. Virgo is the 9th sign and takes place in the 9th month. But it’s Sag that expands its moment-um by spreading the light Virgo has been culturing in all those hours alone in thought. It’s Gemini that breaks the “shell” by communicating on psychic or intuitive levels. Gemini and Virgo are both assigned to Mercury, but Virgo is actually governed by Vulcan, Mercury’s Shadow or “Twin”. Vulcan is considered the artists patron deity in Greek because it governs and rules “artisanship”. It is where the mundane joins the Divine when we unlock our own divinity to tap the Goddess energy of creating things and recognizing how wonderfully we are created. That’s the gratitude energy that is expressed in Sag’s neighbor – Capricorn as one’s personal gold in the world. The more we appreciate divinity the more it grows as stimulated by the Full Moon in Taurus, October 27th. We also had a 1st Quarter Moon in Capricorn in October. Where Sag blending, Gem is dual in acknowledging what is and what isn’t “so” or of importance. Both hold sway over intelligence and levels thereof because one is powered by Goddess energy and the other is Goddess energy. The first is the element of “air” and whatever is travel or making the rounds. Tupac (Gemini) sang about it playfully in the hit song, “I get around”. HOW WELL DO YOUR IDEAS “GET AROUND”? Many Sags are famous (Dionysian) Rock Star-types, bigger than life types, who enter a room and get “all eyes on them”. They are working their goddess charms and electrifying the room for conversation. Gemini (Mercury/Hermes) wizards shock and shock value to stun others with their charms. This is happening a lot right now as we all “grow up” under that Scorpio Sun/Full Moon Taurus opposition which happened in October. Gemini is that moment of being the Deer in the Headlights. Thus the constant “sparkling” and “twinkling” eyes when they are truly happy and satisfied. Just dangle something they’ve wanted for a long time and see the reaction! It’s beautiful like a child on Christmas morning. Both learn, suffer, and embody the life lessons of “innocence and losing one’s innocence” to the harms of the world. It is the reality of breaking out of that safe shell we’ve been enclosed in for umpteen years and lifetimes. What is synchronizing about both signs is how each responds to “love” and know all the various types of it. They have PhDs street and educational on how love should be to be and feel equal. See those two energies and how they compliment, compromise, and comprise the other? They also represent choices and oppression. Gemini hates to make bad judgment calls because it’s a waste of time. It feels like “echos” every time they see the results of wasted effort or time. It nags the mind to know if you’d only chosen this instead of that you’d be happy or at “home” by now. Sagittarius won’t invest time unless they feel its worth it in the long run and bigger scope. Will what I do change the world or at least rock it off its center? Both signs deal with the grounding aspect of The Goddess depicted in tarot as “The Empress”. Don’t we all love to impress others with our wit, intelligence, and sense of fun? Don’t we love to inspire and be sparked into motivation towards worthy goals? Sag and Gem think so. If we aren’t making the most of our time with results, it’s a waste of time to do anything else. Many Sags are famous Rock Star, bigger than life types, who enter a room and get “all eyes on them”. They are working goddess charms and electrifying the room for conversation. Gemini uses shock and shock value, to stun others with their charms. It’s that moment of being the Deer in the Headlights. What is synchronistic about both signs is how each responds to “love” and know all the various types of it. They have PhDs street and educational on how love should be to be and feel equal. See those two energies. See how they compliment, compromise, and comprise the other? They also represent choices and oppression. Both moderate the powers, gifts, and charms of “mediumship, channeling, and hosting” the spiritual by being a “human radio” picking up vibes from space. Both are grounded by cosmic awareness and keen to psychic awareness qualities. Gemini hates to make bad judgment calls because it’s a waste of time to them. Sagittarius won’t invest time unless they feel its worth it in the long run and bigger scope. Will what I do change the world or at least rock it off its center? Both signs deal with the grounding aspect of The Goddess depicted in tarot as “The Empress”. Don’t we all love to impress others with our wit, intelligence, and sense of fun? Don’t we love to inspire and be sparked into motivation towards worthy goals? Sag and Gem think so. If we aren’t making the most of our time with results, it’s a waste of time to do anything else. I provide FREE blogs to life’s biggest problems. We predict world events before they happen so you are well prepared to face new TOMORROWs with confidence. There is nothing more exciting than getting deep into the well of who you truly are inside. Isn’t it time to make the shift towards real values? Email me for a consultation, reading, or natal astrology chart interpretation. EMAIL: olaqueenbeeofastrology@gmail.com for all reading requests. I provide tarot, Business tarot spreads, Career Astrology reports, Love Compatibility reports, Passion reports, General & Personalized Astrology reports for Month to Month or the entire year, Feng Shui advice for (biz – all sizes), Favorable Dates for (doing certain activities), Love Tarot, Astrology Chart interpretations, Transit Reports, and spiritual guidance via your Angel & Archangel Guides – Let me know what you wish or I can make recommendations, too.